Having someone break into your home is a very frightening experience. Even if you happen to be away when the burglary occurred, it will shatter your entire sense of security. You will feel violated. Even worse is when it happens when you are home, you feel as though your very life is at risk. We can throw a bunch of statistics at your that will give you nightmares. For example, in the United States, a burglary takes place every 16 minutes, that adds up to a lot of burglaries in a year. 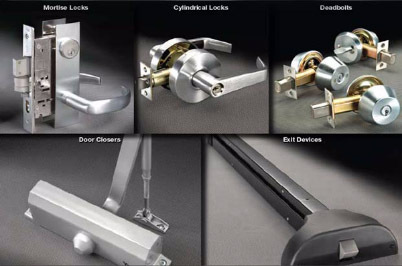 Many of these could be prevented if people didn’t make so many mistakes in home security. 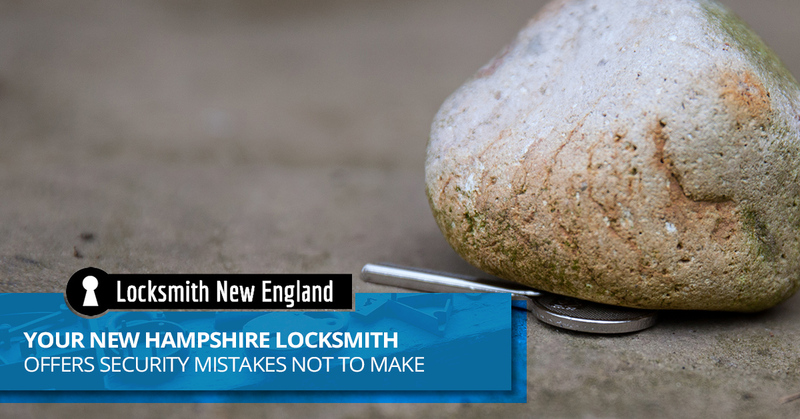 Locksmith New England, your locksmith service serving New Hampshire, offers you these common security mistakes that you need to avoid. Even the kid across the street from you knows to check under the doormat to find a key to the home, this is hardly a good move to make. We are sure most of you know not to do this, but it needs to be mentioned anyway. You might think it’s a good idea to hide a key to your home in one of those fake rocks or in a birdhouse, a burglar thinks it’s a good idea as well because we guarantee he will find it. 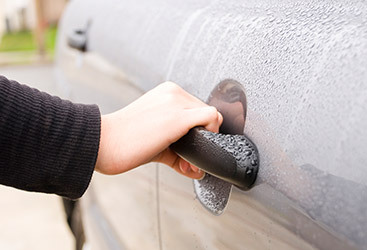 Experienced thieves know what places to check for keys and will take the time needed to locate where you hid your key. 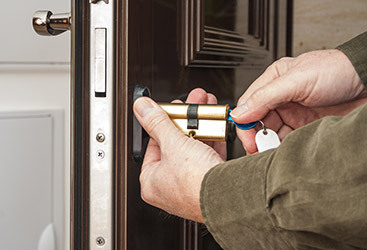 A better idea is to leave your house key with a trusted neighbor. While that fake camera you mounted on the front porch might deter some thieves, others will quickly figure out it is not real. There is no reason to take a chance with a fake camera, especially since real ones have become quite affordable and can be accessed with your cell phone or other electronic devices. A big dog that barks a lot is a great deterrent, but you should still have a backup system in place and good locks on your doors and windows. More importantly, don’t leave windows open and doors unlocked because you have a dog. As intimidating as your dog might be, you don’t know for sure what would happen if a burglar wasn’t afraid of him. What would a thief see if he were staring in your front window right now? If there are valuables front and center, that gives him a very good reason to attempt a break in. Don’t tempt a burglar by displaying your valuables for everybody to see. Show a little discretion and keep them tucked away where prying eyes won’t see them. It isn’t a very good idea to announce to your Facebook community when and where you will be on vacation. You may as tell the world to come rob your home as you will be in Cancun from January 2nd to January 12th. At least wait until you get back to announce where you have been recently. 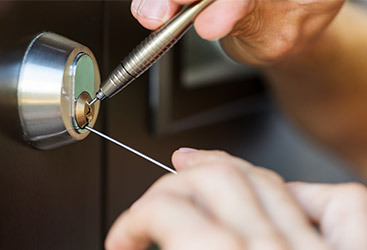 If you have any concerns about the security of your home, give Locksmith New England a call.